In this beautifully illustrated book, two of America’s best-known numismatists take the reader on a personal guided tour of the paper money of colonial America, the Continental Congress, the early states, the Confederacy, old banks, and private issuers. The book is coffee-table-size, 224 pages, full color, with photographs and stories for every note. It also includes market values, price histories, field populations, census reports, quantities printed, and auction records. Retail price is $29.95. 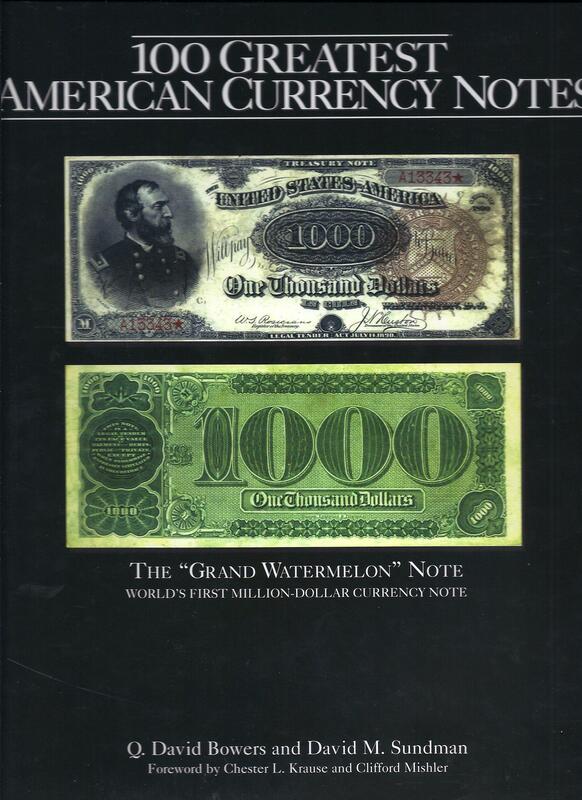 The 100 Greatest American Currency Notes is available at hobby shops and bookstores nationwide.